FASTER co-founders Erin Pangilinan and Carlos Lasa speak to undergraduate students about working in the tech industry. Pictured from left: Pangilinan, Virg Cristobal, Katherine Loh, Anthony Tadina, and Lasa, some of them employed at Uber and Twitter. Amid reports of low diversity numbers at Silicon Valley’s elite technology companies, organizers in the Filipino American community are seeking to increase the visibility of Filipino Americans in the tech industry in the San Francisco Bay Area. 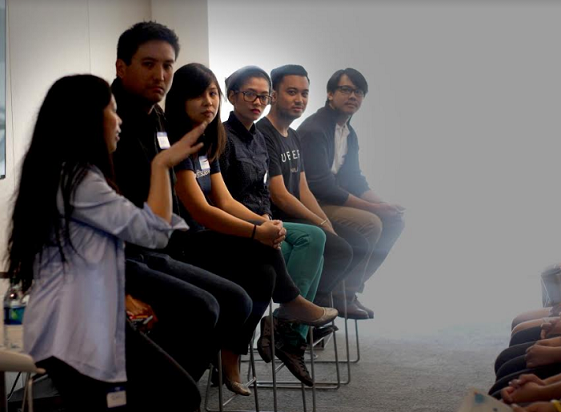 Filipino Americans in Silicon Valley (FASTER), founded in 2015 by alumni from the University of California, Berkeley, is building a network starting with Berkeley and Stanford University to combat underrepresentation and provide that visibility for the FilAm tech community. “We started FASTER in response to the seemingly low numbers of Filipino Americans in tech in the Bay Area. Filipino Americans are the largest Asian American ethnic group in California, but we don’t see this translate to employment in the local tech industry,” stated FASTER Co-Founder Carlos Miguel Lasa, noting his experience seeing few Filipino Americans majoring in technology-related fields at Berkeley and employed at tech companies like Twitter, where he currently works as a product manager. 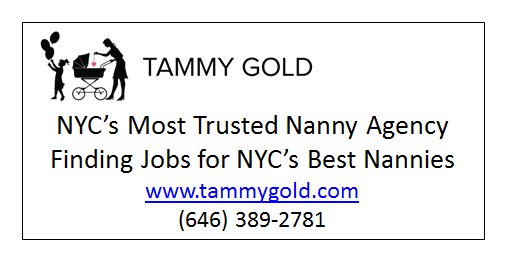 “We recognize that there are multiple factors in play here, from awareness around tech careers to academic preparedness. Our goal is to help local Filipino American youth take that first step towards a tech career,” he continued. In response to this, FASTER launched a pilot mentorship program in 2016 with two undergraduate student organizations at Berkeley — the Pilipino Association of Scientists, Architects and Engineers (PASAE) and Pilipinx Academic Student Services (PASS) — to ensure students receive guidance from experienced professionals as they begin their careers in tech. 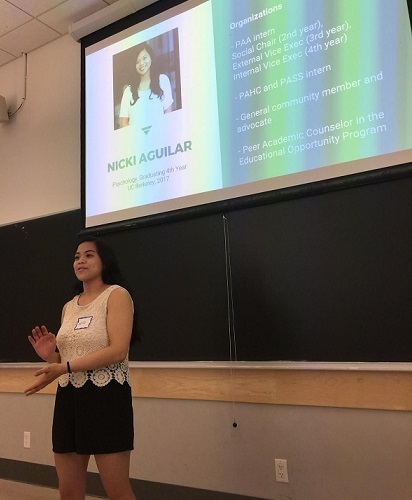 Recent graduate, Nichole Aguilar, speaks about the importance of mentorship in pursuing her career. Aguilar was hired at Oracle upon graduation. Participants of that pilot program have successfully gone on to secure internships and jobs at companies like Facebook and Oracle, and the group has decided to expand it this year to Stanford in partnership with their Pilipino American Student Union (PASU). The respective Filipino American alumni groups at these universities have recognized the importance of programs that FASTER has spearheaded. 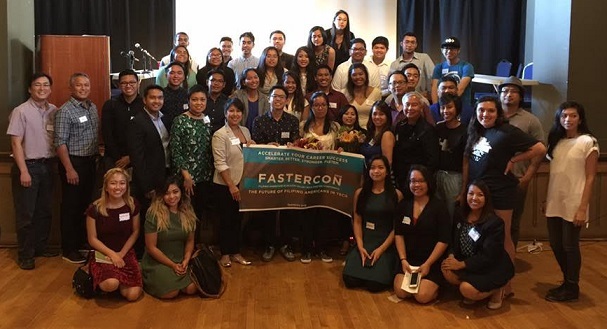 FASTER and its partner organizations also host an annual conference called FASTERCON, which highlights notable Filipino Americans working in various technology professions in the Bay Area. “We want to provide a venue for stories to be told of our community’s contributions to the tech industry. We should recognize that Silicon Valley’s rich history of Asian American contributions is significant, ” Pangilinan said, pointing out success stories like that of Dado Banatao, the famed inventor of computer chipsets used in many personal computers today, and younger Filipinos like Bobby Murphy, the co-founder and CTO of the popular social media app Snapchat. The conference, to be held this year on October 14 at the Berkeley campus, aims to inspire Filipino American youth to consider careers in various technology disciplines like engineering, design, data science, or technology entrepreneurship. FilAm technology professionals and students gather at the inaugural FASTERCON conference at UC Berkeley in 2016.